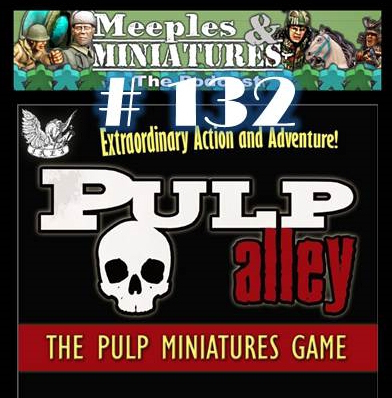 In this show hosts Neil Shuck, Mike Hobbs and Rich Jones chat about what caught their eye during Gencon, quiz Rich about his playtesting of ‘Beyond the Gates of Antares’ and review the wargames rules ‘Pulp Alley’. You can download the show from the Meeples & Miniatures website, iTunes, or use the Meeples & Miniatures App. Scheduled to be published this coming Friday, 19th September, issue 378 is packed full of gaming goodness. 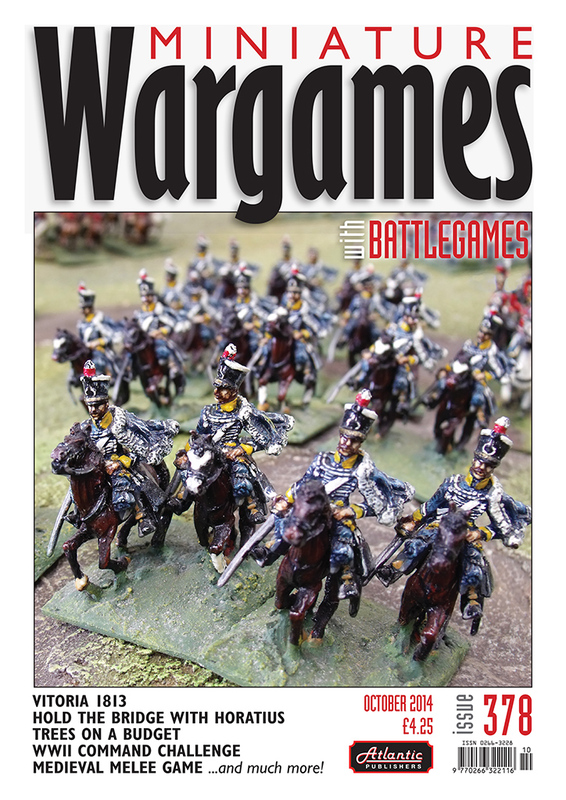 Briefing: As well as musing about the autumn show season, The Editor ponders the UK’s ‘lead belt’, contemplates a forthcoming game (which has now been reported on his blog at http://henrys-wargaming.co.uk), and finally marvels at discovering a long-forgotten wargames magazine. World Wide Wargaming: The new column by the Editor continues with some praise for Warlord’s “Bolt Action” website, pats on the back for a couple of marvellous blogs, and then plunges into more advice for those new to Twitter, including posting photos. Forward observer: Neil Shuck engages in a little navel-gazing about the way his hobby has taken over his house, before recognising that paper still has a role to play in this digital era. Iron Fist/PSC’s “Battle group Barbarossa” rules get the once-over, together with the latest eastern Front offering from TooFatLardies, “Operation Winter Storm”. This, in turn, leads him to ask whether he should be ‘doubling up’ his wargame spending to have both summer and winter camo versions of his armies… “Pulp Alley” gets a look in too, before Neil comments on the new, ‘big’ battle’ version of “Chain of Command”. Trees with some merit: Diane Sutherland should be decorated for her meritorious service to wargaming, but husband Jon has banished her to the woods. Has she been pining for the comforts of home? No, she’s been sprucing up her forest finds for us. Fantasy facts: back from his transatlantic travels, our roving f/s-f guru John Treadaway raves about one of his all-time favourite games, examines some of the newest goodies and then finds himself impressed by a popular Kickstarter project. The combat of sixteen: Veteran gamer Dillon Browne and his chums in Oxford have come up with a fast and furious game set in the days of old when knights were bold, on foot as well as on horseback. So, polish up your heraldry and get stuck in! Vitoria 1813: In a cleverly-constructed and beautifully-presented article, Matthew Green delivers not only an accurate account of one of Wellington’s greatest victories, but also explains stage-by-stage how he and his friends recreated the battle two hundred years later, attempting to keep to a 1:1 timescale! 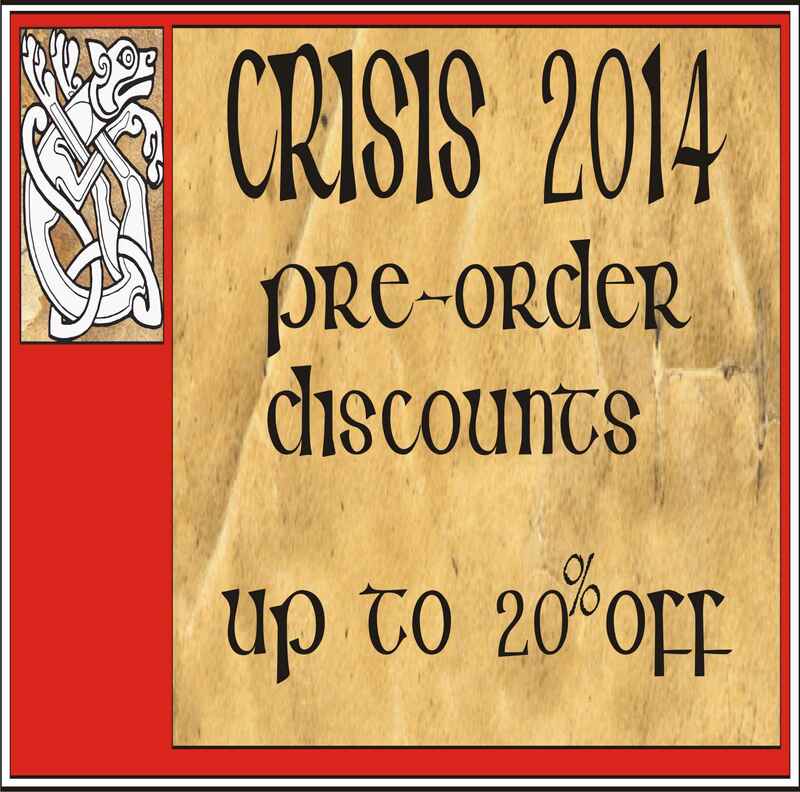 Additional material will be available for download from our website. Wargames photography part 2: The Editor continues his mini-series of helpful hints for the hobby photographer wanting to get better pictures of their wargames and collections. This time, we’re looking at the thorny problems of focus and depth of field. wargaming, in which one player attempts to gain an unfair advantage by cheating. Staying alive: Does our hobby need defibrillation? Barry Hilton has something to say about the future of the hobby. Hold on to your hat, he’s not holding back! Now who will stand on either hand…: Arthur Harman provides a simple game of the Roman legend of Horatius, using a variant of his “Habet, Hoc Habet!” gladiatorial rules. 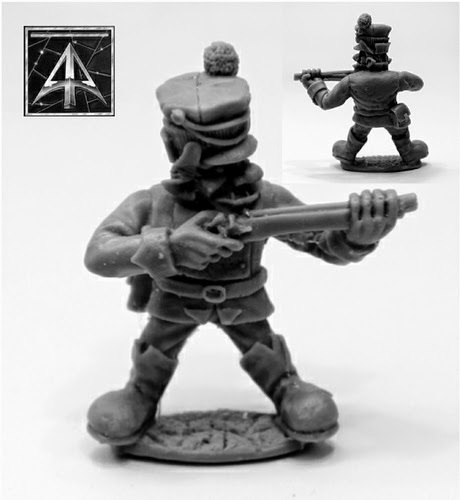 Great fun for a classroom full of children – or a wargames club full of grumpy grognards! There’s stuff to download from our website to accompany this. Claymore 2014: Paul Bright has been swanning around Edinburgh, not to sample the cultural delights of the famous festival, but instead filling his carrier bags with goodies at one of the most popular shows north of the border. Normandy night action: Martin England returns with another innovative solo wargame that certainly fits our ‘Command challenge’ bill and could provide multi-player fun just as easily. Combat Stress Appeal: The Editor delivers brings you up-to-date on the latest progress of our appeal, supporting a cause that has been much in the news recently. Hex encounter: “In brightest day, in blackest night, No evil shall escape my sight…” Brad Harmer has been having a Marvel-lous time and reports back from his adventures on Planet Fun. Recce: Our review team takes a look at the latest SAGA offering, “The Crescent and the Cross”; “Montcalm’s Crushing Blow” from Osprey; Brigitta Hoffman’s fascinating “The Roman Invasion of Britain, Archaeology Versus History”; David Karunanithy’s magnificent “The Macedonian War Machine”; Osprey’s “JU87 Stuka”, “Point Pleasant 1774” and “Spitfire Aces of Northwest Europe 1944-45”; “AD69: Emperors, Armies and Anarchy” by Nic Fields; atmospheric novel “The Bitter Trade” by Piers Alexander; and then in the gallery we have 10mm Eastern Front buildings from Escenografica Epsilon; 28mm plastic unarmoured hoplites, peltasts, javelin men and slingers from Victrix; PzIII and ISII tanks from The Plastic Soldier Company; WWI British from Baccus; and some stunning Napoleonic Vistula Legion from Murawski Miniatures. That’ll do for the time being. Issue 379 is already in the works! And don’t forget to visit the website for extra stuff in the “Goodies” section! Gringo40s are excited to announce the forthcoming range of "Garibaldi's Wars of Liberation 1835-1870 commencing with the taking of Sicily and Naples in 1860. 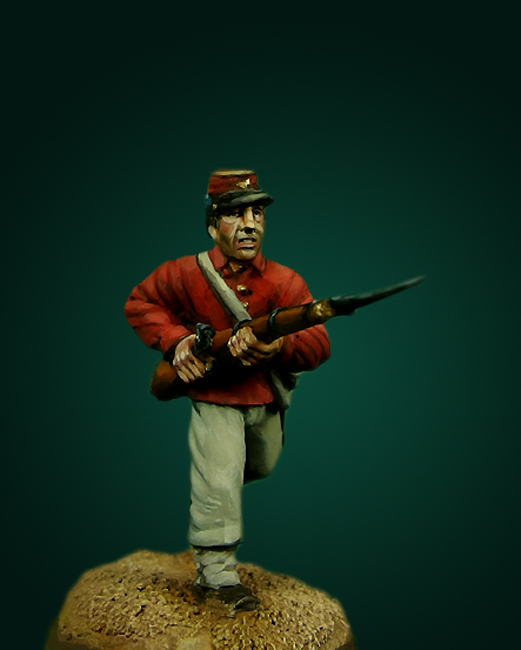 The Redshirt contingent of infantry, Garibaldi and General Bixio are done....the Neapolitan Army is being sculpted as we speak with Infantry first followed by the elegant cavalry and artillery. The painted sample figure is of a Redshirt painted by the Uber-talented Angel Oniria.